We are excited to unveil what is set to become a true gem of Jamaican food in the capital and across the UK: Jamaica Patty Co. The new fast-casual restaurant, situated in Covent Garden, brings quality Jamaican food to London. I-AM worked on developing the concept with founder Theresa Roberts, who was frustrated by the lack of fresh Jamaican food offerings in the UK and keen to offer a sleek, modern-day experience with authentic flavours. All recipes have been developed in-house by multi-award-winning Jamaican chef Collin Brown, with Theresa. Aside from enjoying a selection of juicy, freshly baked patties, diners can feast on authentic national dishes: from curried goat to saltfish, and just about everything with jerk flavour. Iconic desserts such as the Devon House Ice cream and Tortuga Rum Cake are flown in from Jamaica, alongside the Blue Mountain Coffee range. I-AM created an exuberant space inspired by the colours of the Jamaican flag and introduced a digital element in the form of a large plasma screen digital wall, situated inside the venue. The result is a sophisticated and vibrant Jamaican experience. 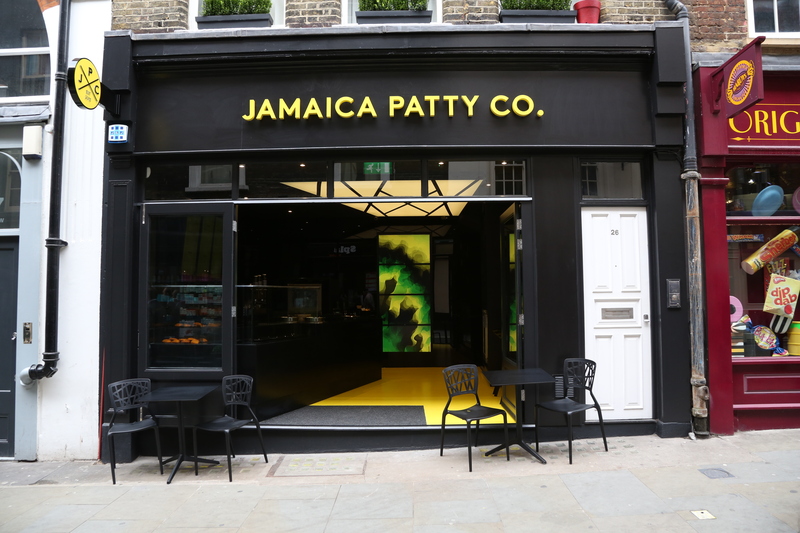 Jamaica Patty Co. opens to the public this Saturday the 22nd of March and is set to be the first in a series across the UK. See you there!